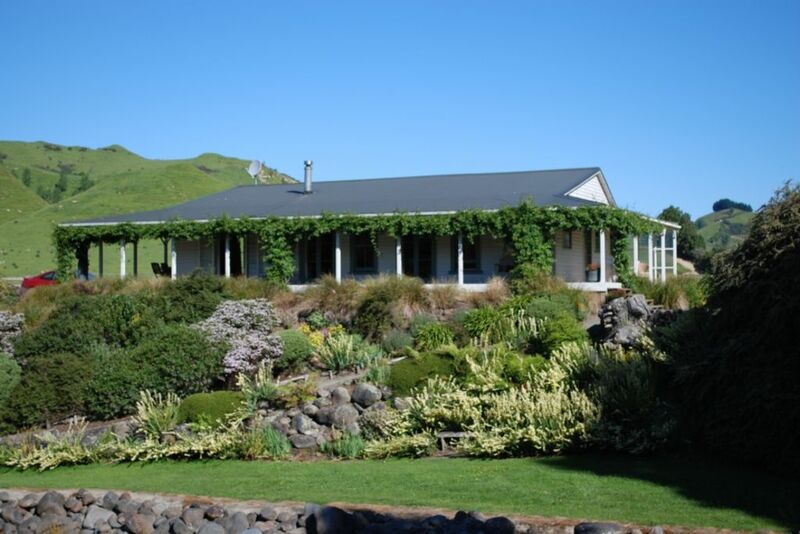 Uncle Bill's Cottage is a gorgeous country home on a sheep and beef farm in the Orautoha Valley, just 20 minutes from Ohakune. Originally the home of one of the valley's pioneers, it has been beautifully restored while still keeping its history and character. With decks around three sides of the house, there is always somewhere to sit and watch what is happening on the farm. We live on the property so are there to assist you with any enquiries you may have. This is perfect spot for a holiday with friends or family, it's away from the cares of the world, but close to all the attractions the Ruapehu region is famous for. We are only 20 minutes from the base of Mt Ruapehu with all the amazing walking tracks and Turoa ski area. Whakapapa Skifield is 45 minutes away. From the time you step in the door of the cottage you can relax. The kitchen is fully set up with all the appliances you need, and a great espresso machine! We will supply some fresh free-range eggs from our hens, some jam made from fruit grown on the farm, and marshmallows for toasting on the fire down on the riverbank. There is a washing machine and dryer in the laundry. And with plenty of quality linen supplied, and no cleaning to do at the end of your visit, all you have to do is enjoy yourself! The cottage is warm and inviting in the winter, with a great log burner and plenty of firewood at the door. Very cosy and comfortable! In the summer the deck lets you catch the breeze from the river, while you choose whether to sit in the sun or the shade. With no wifi or mobile reception it's a great base for completely getting away from it all and enjoying quality time together. Soak in the outdoor bath, under the stars, glass of wine in hand...or toast marshmallows over a warming fire down by the river - we supply the marshmallows! There are plenty of farm activities for the children – helping to feed the horse, dogs and chickens; swimming or kayaking in your own private section of the river; feeding the eels; or riding a sled towed behind the quad bike. For the little ones there is a balance bike; a trike; a playground with swings and slide; a play hut; and even an old quad bike for all those imaginary adventures. You can fish (in season) from right in front of the cottage, with an adult’s and a child’s rod available for you to use. The Manganui O te Ao River, world-famous for its trout fishing, is just 5 minutes away. We have one adult’s and one child’s fishing rod which you may borrow. With 14 mountain bike tracks to choose from in the region, you are spoiled for choice. We are right on the National Cycleway heading to The Bridge to Nowhere Track, which winds through the 'Valley of Abandoned Dreams' to the Whanganui River, with 35km of spectacular scenery and wild beauty. One-night stays may be possible, please just ask. An additional cleaning fee of $50 applies. The farm has been in the family for over 120 years, with Great Uncle Bill being one of the original settlers when the valley was opened up to farming all those years ago. We consider ourselves very fortunate to live in such a beautiful part of country, and love to share the farm with visitors. Check out www.unclebillscottage.co.nz for more pics! Set in the middle of a sheep and beef farm with beautiful views over the surrounding countryside. The cottage is set right beside your own private section the river. Sit on the deck, or lie in the beautiful outdoor bath and let the sound of the river relax you. Spotless, comfortable and amazing farm setting. Loved every minute there. Feeding the eels, watching the sheep being mustered, looking at the stars. Great hosts too. Loved the venison (thanks Jen) and thanks Gordie for the ride up the hill! Uncle Bill's Cottage was everything we imagined Awesome! Great host, Great location, Great accommodation we'll be back! A wonderful retreat. Amazing generous hosts who went out of their way to keep our kids entertained. Would highly recommend. You will have no problem getting a good night's sleep here as the sheep run past in line for you to count (in the day). Perfect watching the ducks having a fight on the stream below as you sit on the deck. Cottage has been reassembled with much love. Grand stay, well done Jenny.